Life and Practice In Paradise: The most frequently asked question I get is: What does it take to get licensed in one of the island nations? Living “the island life” is the fantasy of many people especially in winter when the temperature dips and the snow is flying. Very few people ever get to live that dream. I am one of the fortunate few. It didn’t just happen. It took a lot of planning, hard work, perseverance and above all, PATIENCE. This is the unembellished reality: Do not confuse your island vacation with the day to day experience of living and working. When you are on vacation you arrange to leave most of the reminders of real life and responsibility at home. You don’t have to look at your bills and all the things that require your attention and energy each day. That is what vacations are, an escape from the responsibilities and stresses of everyday living. When you move to a place to live and work, no matter where you go, no matter how warm, beautiful and idyllic it seems, you will still have to deal with the realities, responsibilities and stresses of daily living. Some of these you will bring with you, some will be familiar. And there will inevitably be other, unfamiliar issues to deal with that come with the new location. You will trade your snow shovel and traffic for other things. Some of them you might not like any better. Others may even seem worse than those old familiar hassles. It is a very individual thing. The question is what compromises are you willing to make in your lifestyle, and how much inconvenience are you willing to put up with? If you are married, the better question might be, what is your spouse willing to endure to live in “paradise”? I first arrived in these Bahama islands on my boat in 1990. Most local communication was by VHF marine ship to shore radio since most people did not have telephone. Electricity was expensive but service fairly reliable. Gas and diesel fuel was often of poor quality and 3 times the price per gallon in the states. Food shopping was a real eye opener. Fresh fruit, veggies and dairy products were almost nonexistent, as were fresh meats and most of the grocery items we take for granted in even the smallest market in the U.S. Restaurants offered a limited menu, due again to the difficulty in getting supplies. I didn’t cruise to the islands for their amenities or a culinary experience. I’m a boat nut and water rat. I came for warm turquoise water, white sand beaches, sunshine and blue skies. The diving is some of the best in the world. Deep sea fishing off of Long Island, N.Y. involved a minimum run of 30 and sometimes 100 miles offshore usually in rough water. Here the ocean depth drops to several thousand feet within sight of land. That means there are Marlin, Wahoo, Dolphin fish (Mahi Mahi) and Tuna minutes, instead of hours, from your dock. That’s what I call luxury. Since then many things have changed, some for the better some not. Fast forward to 2010. I’ve been living and practicing here full time since 2002. We have telephone and even cellular that works — sometimes. Electricity has become a major issue in recent years as the generating capacity of the government owned Power Company has not been able to keep up with the demand. Summer 2010 has been difficult with multiple daily power outages of several hours at a time. Thankfully, the government is building a new power plant that is due to be ready in 2011. What about grocery shopping? For many years there was a steady improvement in the availability of fresh produce and meat, as well as specialty items. Everything is expensive, but the variety and regular availability of food items was steadily improving. Then two years ago we had a major setback. The only supermarket on Great Abaco Island burned down. That meant that everyone from 60 miles north and 60 miles south plus the residents of many small cays had to shop at 3 small markets. They all get their supplies from the States and Nassau via once a week freight ships. They did their best to keep the area supplied, however, they seldom get all that they order. And often, by the time it gets on the shelf, the “fresh” stuff isn’t fresh any more. Then, on August 16, 2010, a beautiful new supermarket opened! It was the biggest event to happen in Abaco in years. The new store rivals most markets in the U.S. but we still have to time food shopping expeditions between the time when you think the new shipment will have cleared customs and gotten into the stores and when the shelves are picked clean for another week. What about other shopping? Shopping malls? Well there aren’t any. Home Depot? Lowes? Nope. No Borders or Barnes & Noble either. No bookstores, period. No McDonalds, Burger King or Pizza Hut. No corporate or franchise businesses at all, with the exception of Kentucky Fried Chicken. No dry cleaner either. And no movie theater – we used to have a small multiplex theater, but it closed down a few years ago. These are the kind of concessions we have to make to live in paradise. Think carefully about what your life would be like without these conveniences we tend to take for granted. Ask yourself if you really want to live without them before you pack up your life and move to paradise. I am speaking about life in the out islands of the Bahamas, which is where I live. But from what I know, I believe much of the Caribbean is basically the same. Many of the Caribbean Island nations are much poorer than the Bahamas, however, which means they have even less to offer in the way of modern conveniences, infrastructure and “stuff.” Moving to one of these places can be a real culture shock. And even if you think you can be happy living without many of the conveniences of modern life in the USA, you need to realize that you will pay a premium for whatever you do have in the islands. Gasoline here is about $5.00/ gal. Most things that we have shipped in carry a 50% to 60% import duty. Just recently the import duties on cars have gone through the roof. Cars with engines over 2 liters carry a duty of 85%! The cost of housing is another issue. Real Estate here is very costly. A 2 bedroom 1 bath house on a postage stamp sized lot could easily run you $400,000 or more in any area you would consider living. And no, that is not water front. Paradise does not come cheap. I am also frequently asking about what it takes to get a Chiropractic license in the islands. Chiropractic Licensing laws and work permit requirements vary from one Island Nation to the next. All are careful to be sure not to create competition with their citizen doctors. So the best opportunities are going to be in areas where there are no chiropractors, where the need is great and where you would not be a competitor to a citizen. That would mean living in the more remote and less developed areas. 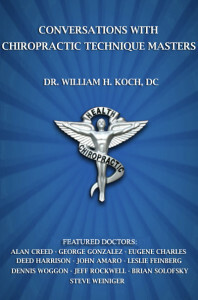 Yet if the island nation of your choice does not know about Chiropractic, you could have another problem altogether. For years I tried to get a work permit and license here – but they did not license chiropractors at all. They had no designation for such a work permit. Catch 22. It took a long time for the laws to change. In 2002 I received the seventh Chiropractic License issued in the Bahamas. And it took me over ten years of persistence to get it. They still do not make it easy for foreigners. The Bahamas Ministry of Immigration requires a work permit for which you would need the sponsorship of a Bahamian doctor. A license to practice Chiropractic must be approved and issued by The Bahamas Health Professions Council. Licensing and work permit fees cost about $10,000 each year. These are the realities of living and practicing in the islands. It isn’t for everyone, only you can decide if it is for you.